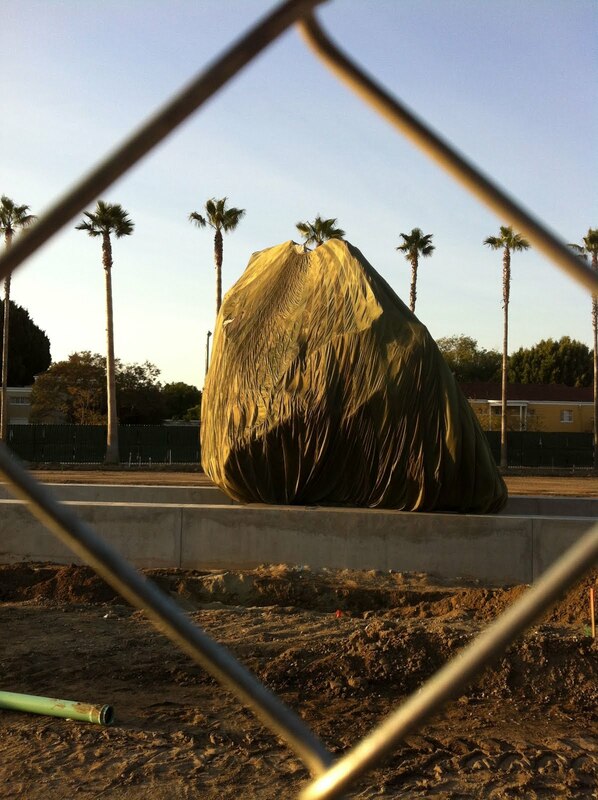 Still under wraps at LACMA: Michael Heizer's Levitated Mass, a 340-ton granite boulder that rests atop a 436-foot concrete slot. 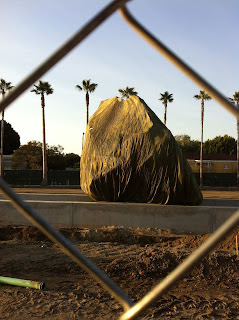 Once it opens to the public, you'll be able to walk through the slot beneath the boulder, which should be interesting. A few thousands came to the unveiling, and every single one, man, woman and child, photographed The Rock a few dozens of times. Used to be called a Kodak moment but now, with the film maker gone, all those gigabytes were zooming through virtual space (or whatever the bytes zip through.